Maybe this is a little mundane but I’ve been using the cold and snowy weather as an excuse to do some cutting and sewing of leather. 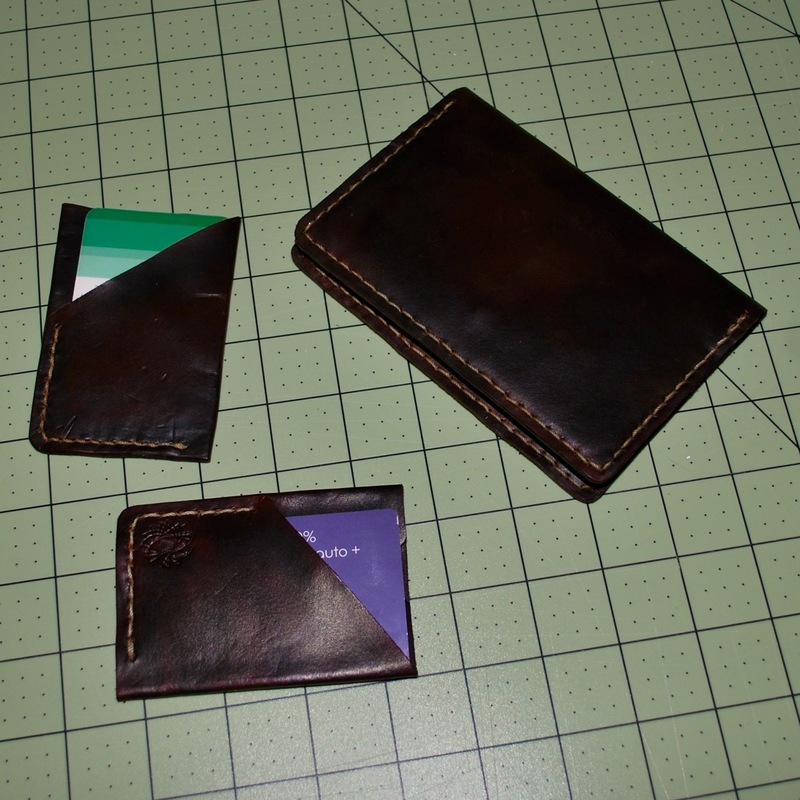 I completed a passport wallet and finished up another minimalist wallet design. 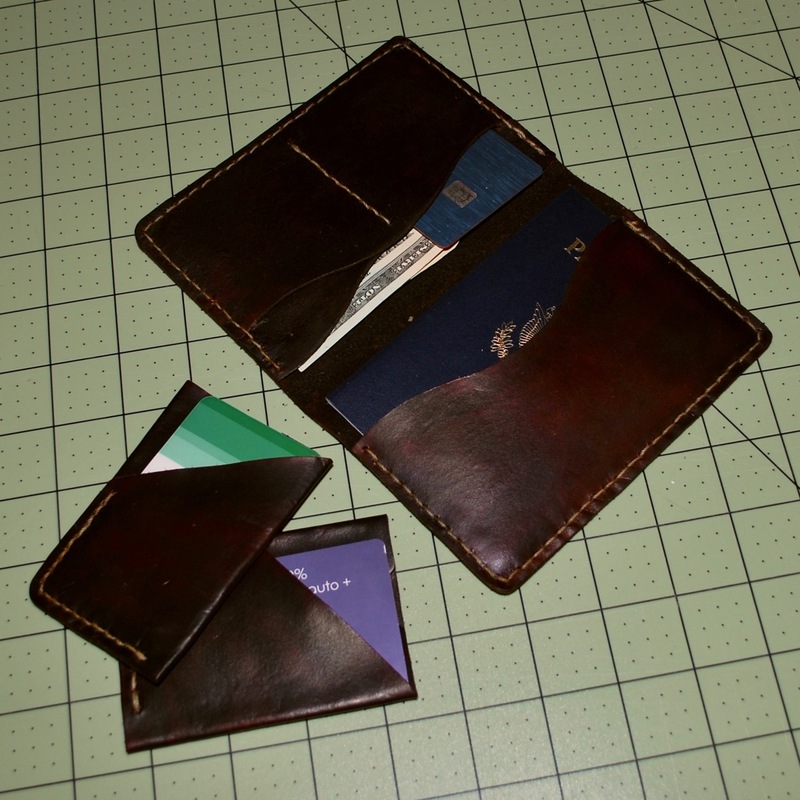 I got the pattern for the larger travel wallet from Tony, the owner/designer at DieselpunkRo. He sells finished goods, patterns, and gives a lot of good advice for makers working from his patterns on his Facebook group page. If you follow his Facebook group, he will occasionally share free, downloadable patterns. I have two patterns from him so far and they are both great. 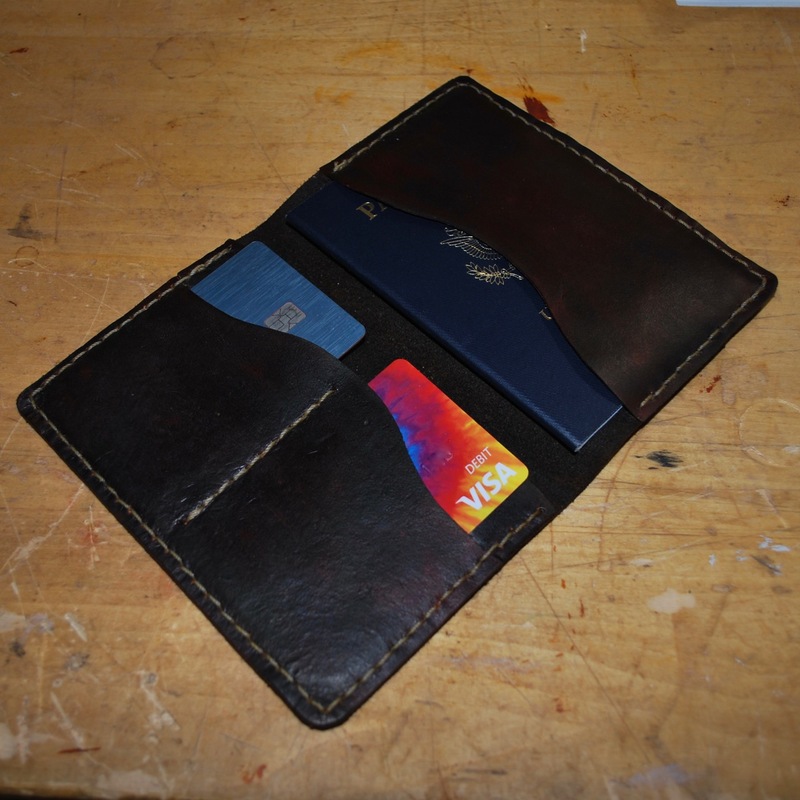 The large wallet is a handy, four pocket affair that snugly holds a standard passport, cards, and cash. This is another good starter project that easily yields a great product. We were acting like shut-ins today because of a surprise snow storm so I’ve been able to jump to another leather-related project. I’ll share some photos soon.